EA Games has launched its Titanfall based Battle-Royale game, Apex Legends. Since its launch, it is ruling discussion session in the gaming community. The game is free to play on PC, Xbox One and PS4. On PC, it is available via Origin. 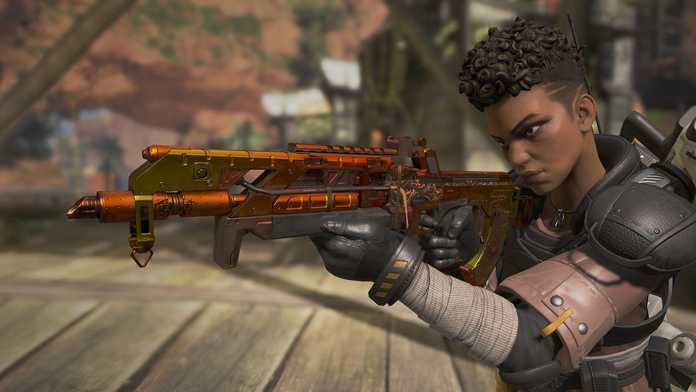 Like every battle royale game, Apex Legends also features a vast variety of weapons. The majority of time, you will find guns without any attachment. You will occasionally see a golden weapon in the game. 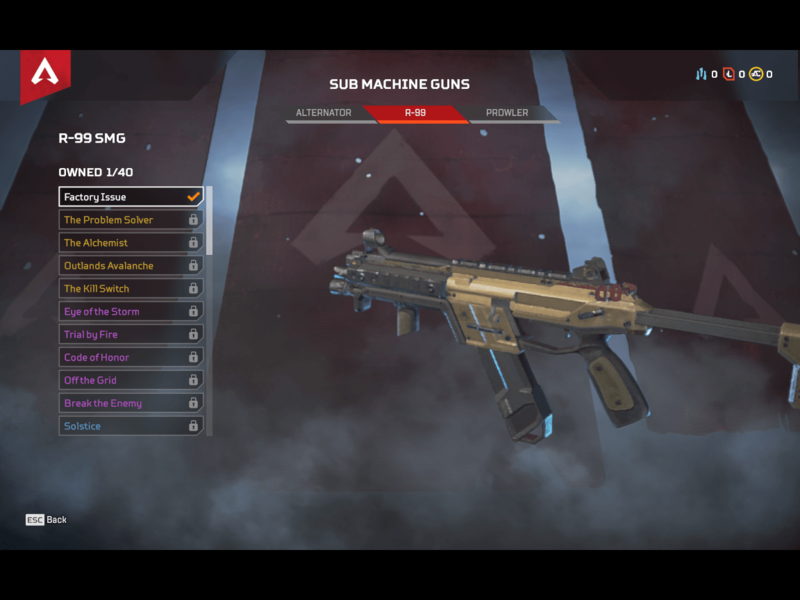 The golden weapon is not a legendary weapon it rarely spawns in the game with a pre-attached scope or other attachments. 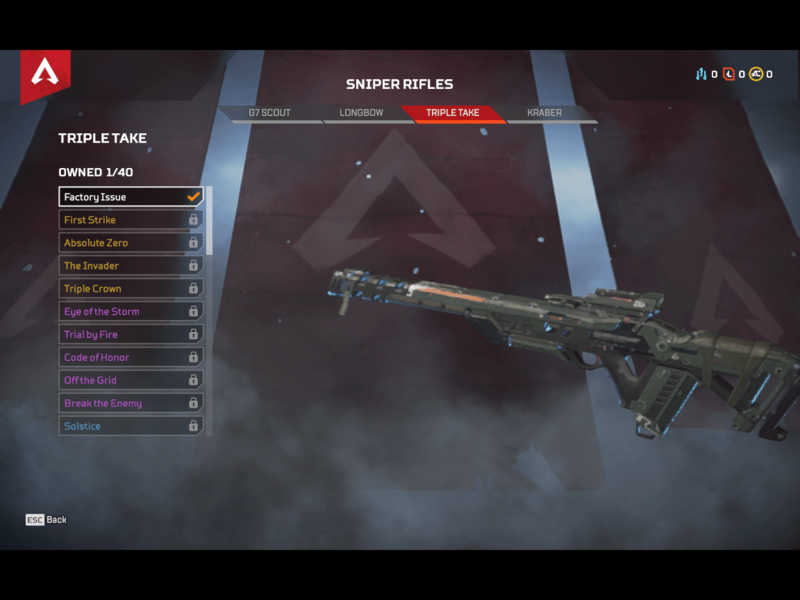 The game currently has two legendary weapons: Kraber .50-CAL Sniper and the Mastiff Shotgun. 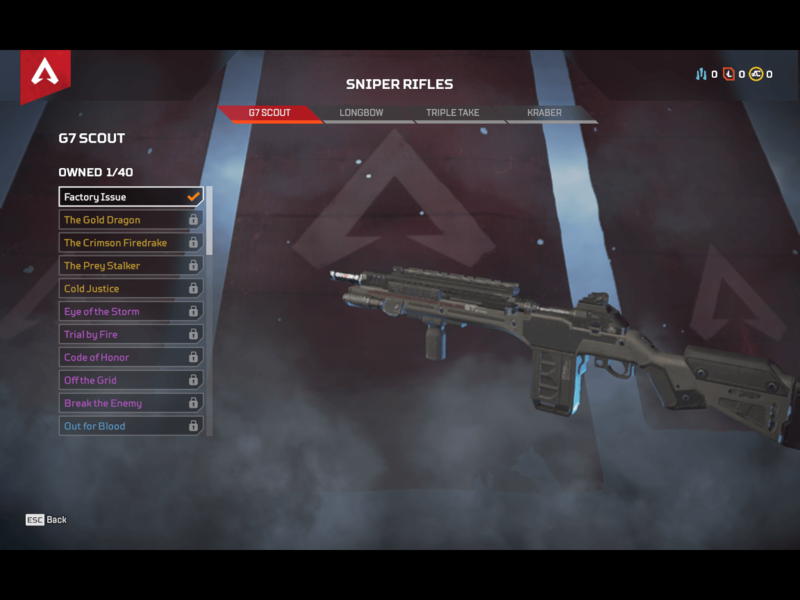 Apex Legends has a total of 19 different weapons featuring all classical weapons which have become pretty standard in all battle royale games. 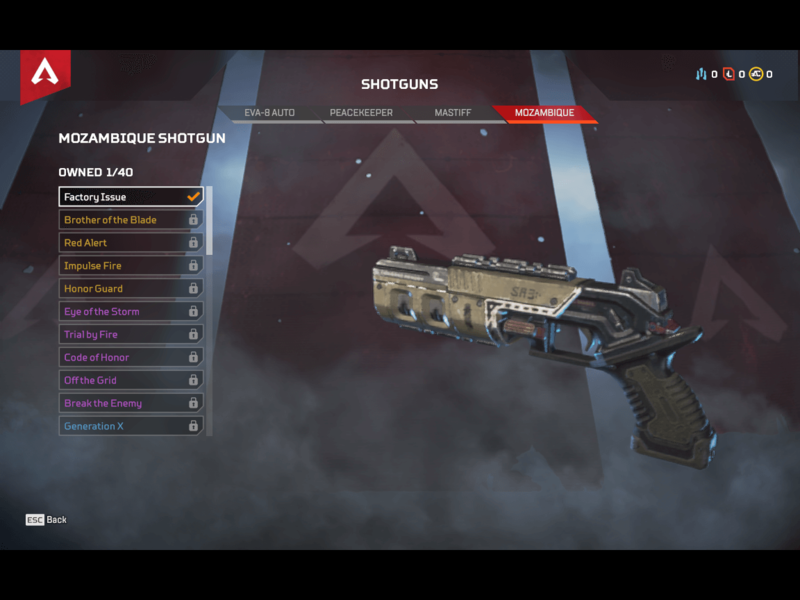 So, let’s look at the Apex Legends Weapons list. 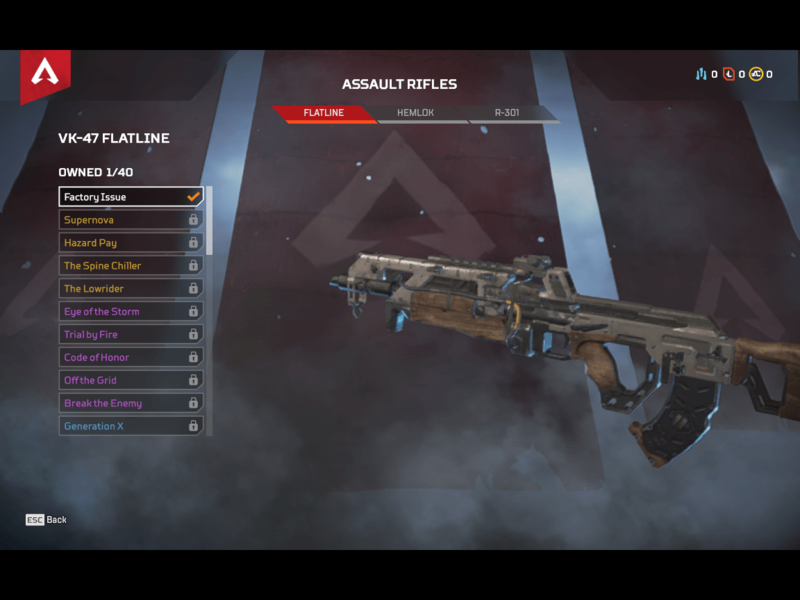 R-301 is a standard Assault Rifle in the game. It is the weakest Assault Rifle which uses light round ammunition with a magazine capacity of 18 bullets. 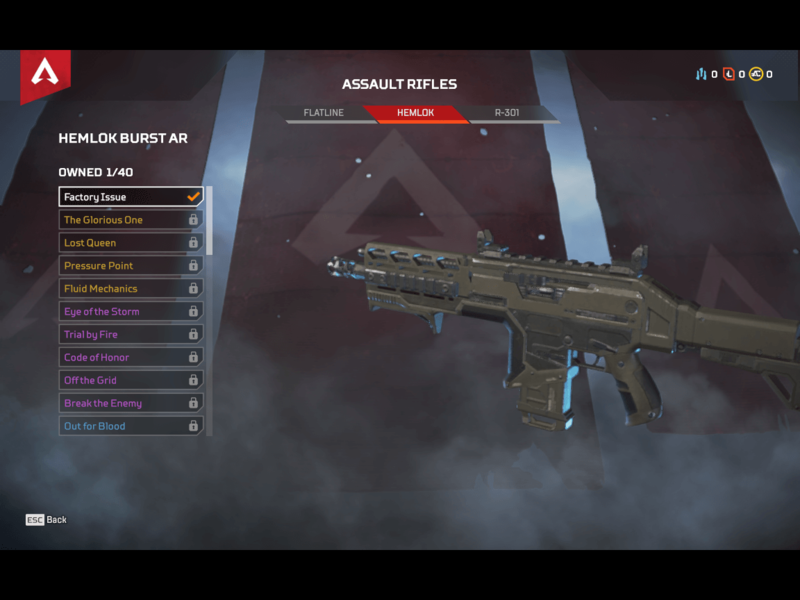 Hemlok, a burst style assault rifle, uses 3-round heavy ammo. It is a lethal gun in the Assault Rifle category in terms of damage. Its magazine holds 18 heavy round bullets. Headshot: 24 damage per shot and 72 if you hit a full burst. Bodyshot: 18 damage per shot and 54 if you hit a full burst. VK-47 is a fully automatic Assault Rifle that does some serious damage with a head shot. It has the capability of doing severe damage to an opponent because of its heavy round ammunition. It holds 20 bullets in a magazine. R-99 is a standard automatic SMG with an intense fire rate. 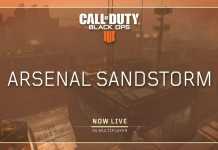 Despite its rapid-fire rate, its accuracy is abysmal, and it almost falls back in nearly every field of comparison with other SMGs. The magazine uses light ammo and holds 18 bullets. Its rarity is common in the game. 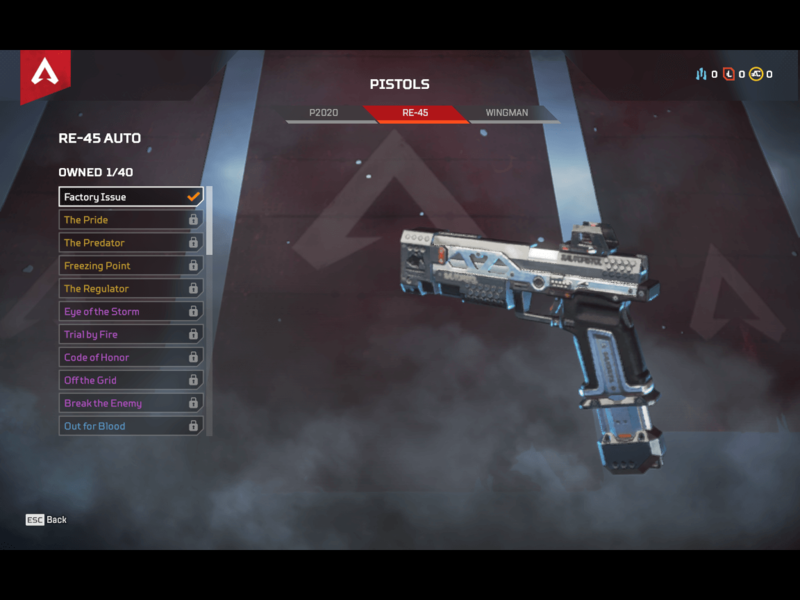 Like R-99, Alternator is another SMG with a disappointing firing-rate. One reason to consider it over R-99 is its better accuracy and little-improved damage per shot, but still, you will have to face some recoil. It holds 16 bullets in a magazine. 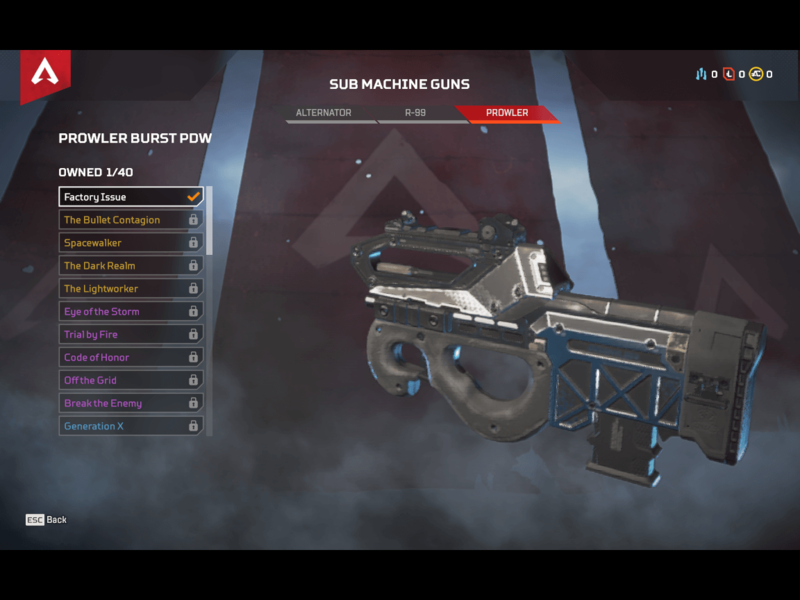 Prowler Burst is the only SMG in the game which has the capability of dealing some severe damage with precise accuracy and fast fire burst rate. It is a P90 style gun uses 20 heavy bullets in a magazine, but it does 5-round burst firing so, you will have to reload the magazine after four shots. Headshot: 21 damage per bullet, 105 per full burst. Bodyshot: 14 damage per bullet, 70 per full burst. 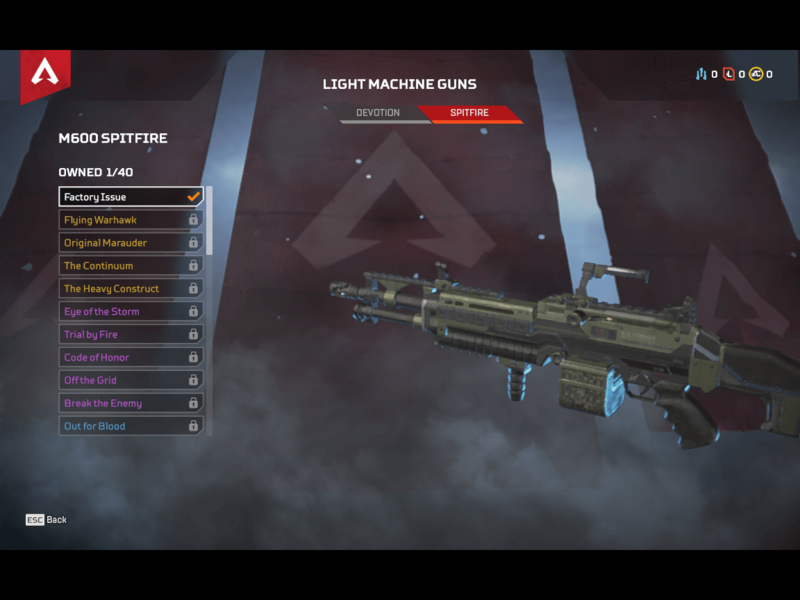 M600 Spitfire is full-automatic LMG with some fantastic stats which makes it arguably one of the best weapons in the game. With a decent fire rate, it does massive damage with precise accuracy. It holds 35 bullets in a magazine. The only problem you will face while using it is its reloading time. 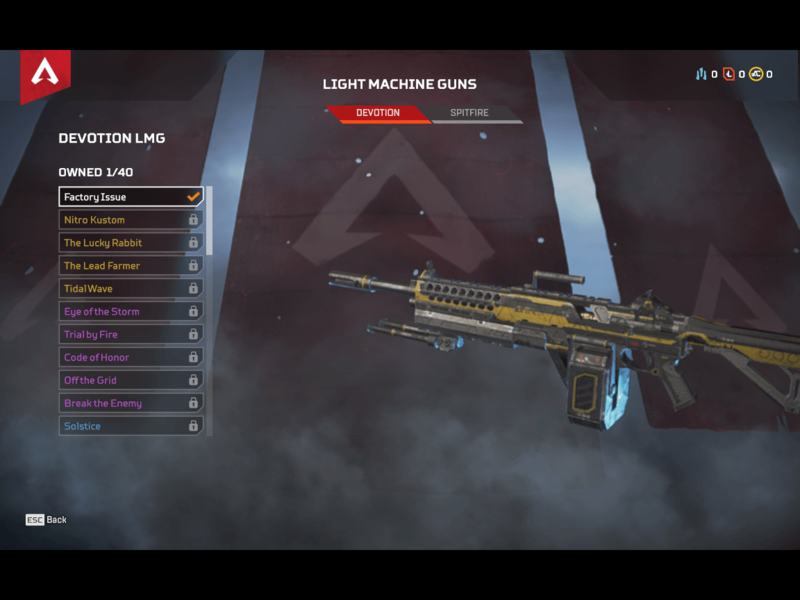 Devotion is a full-automatic LMG which uses energy based ammo. 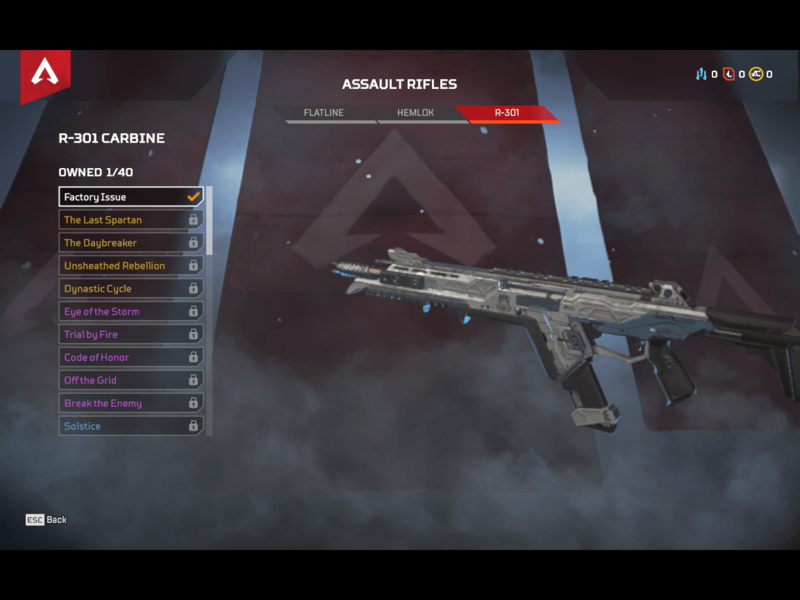 It has some impressive stats in the weapon stats chart of the Apex Legends. Its pretty remarkable fire rate, high damage, accurate hip-fire, and range are enough to claim it as one of the most stable and best weapons in the game. It holds 44 energy-based ammo in its magazine. Re-45 is the fastest shooting pistol in the game with a remarkable firing rate along with decent damage. It uses light ammo and holds 10 bullets in a magazine. 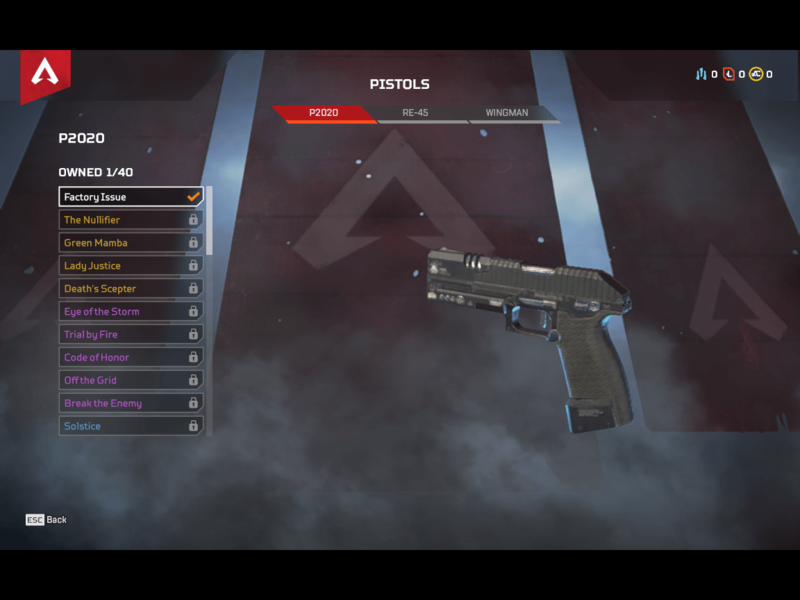 P2020 is a standard pistol with average stats. It can be used at the beginning or at the time when your secondary weapon runs out of ammo. 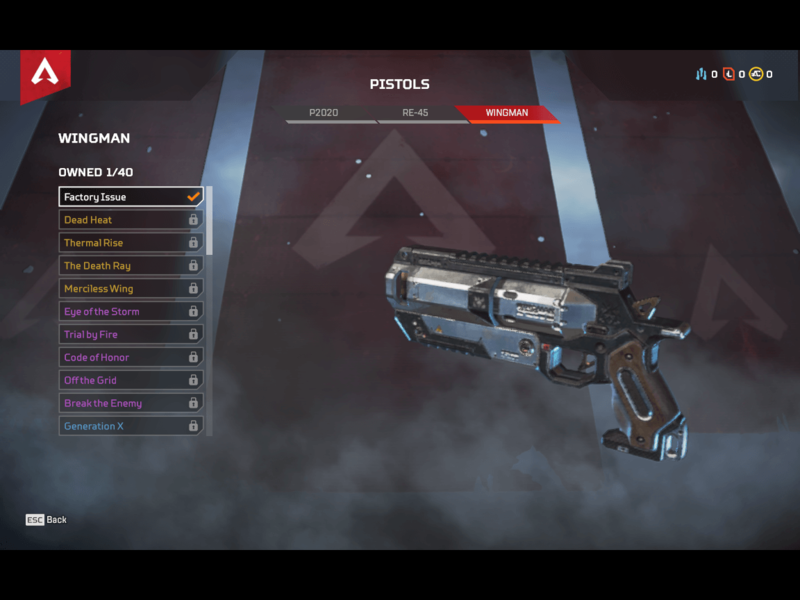 P2020 uses light ammo and holds 10 holds in its magazine. Wingman is a mighty desert eagle styled pistol which causes serious damage to opponents. Like a typical desert eagle, it’s a difficult gun to master because of its fire rate and accuracy. It uses heavy ammo and holds 6 rounds per magazine. The triple-barrel Mozambique Shotgun is a unique hybrid weapon with high accuracy and damaging capabilities. It holds 3 round of shotgun shells in its magazine. 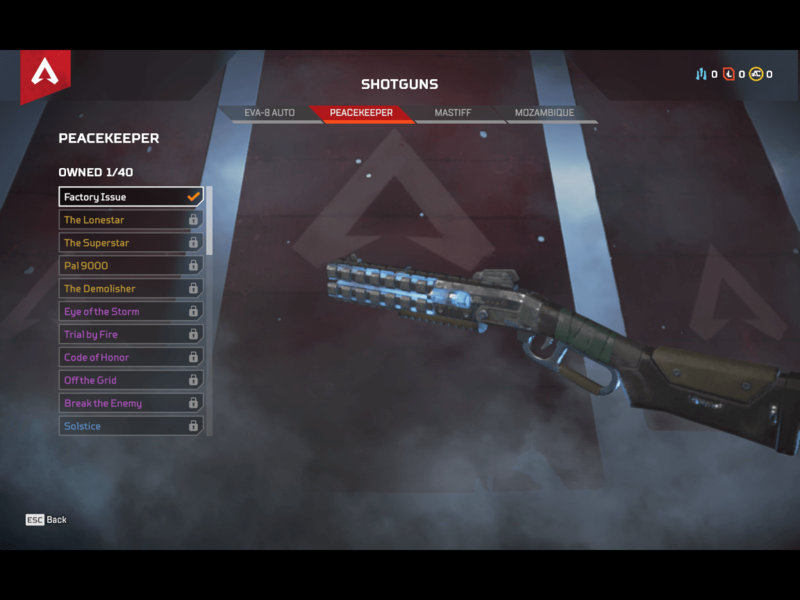 Peacekeeper is a standard shotgun in which your ammo will reload one by one rather than all at a time. It holds 6 rounds of shotgun shells, per magazine. Headshot: 110 damage,10 damage per pellet with 11 pellets per shot. It is a shotgun which I will refuse to pick up in my load. out because of its lower damage and less fire rate. It holds 8 round of shotgun shells, per magazine. Mastiff is a potent weapon in the game. It is a pump-action shotgun which uses a special ammo. Taking a head shot from this gun can’t save incoming enemies from getting knocked down. Headshot: 288 damage,18 damage per pellet with 8 pellets per shot. Bodyshot: 144 damage,36 damage per pellet with 8 pellets per shot. G7 is the lightest sniper rifle in this category. You can fire it quickly at a decent range. 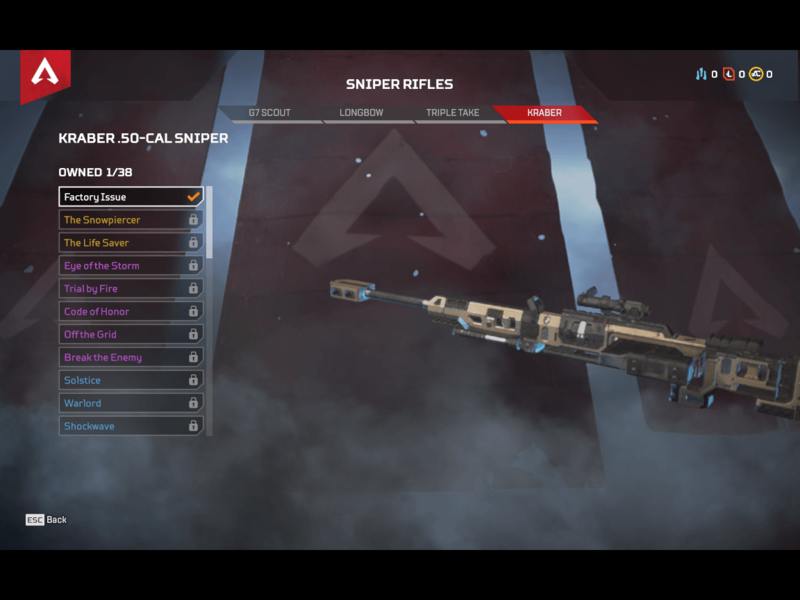 It doesn’t do damage like a standard sniper rifle, but it can be used for mid-range encounters that’s why it uses light rounds and holds 10 bullets per magazine. 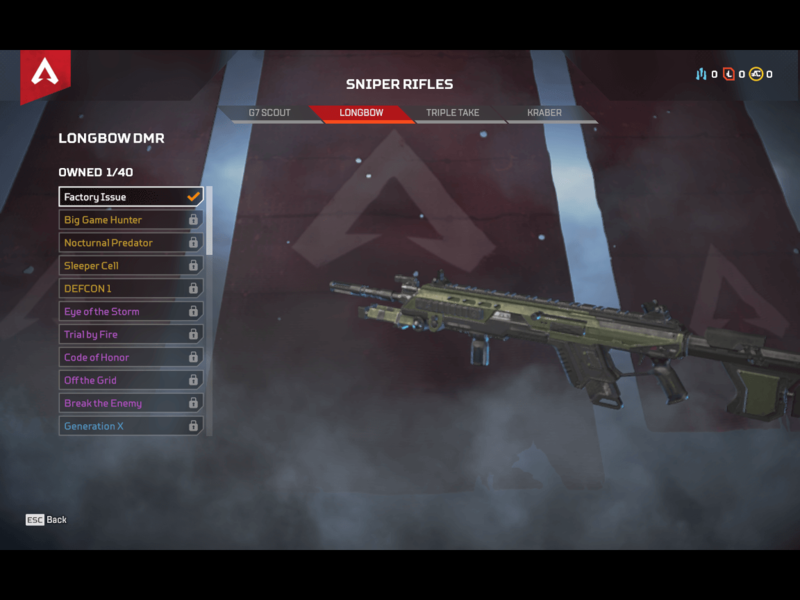 Longbow DMR is a pretty customizable semi-auto sniper rifle with the support of five attachments. It uses 5 rounds per magazine. Triple Take is a unique sniper rifle that fires three bullets per shot with a tight horizontal spread. Like Devotion LMG, it also uses energy bullets and holds 5 in a magazine. 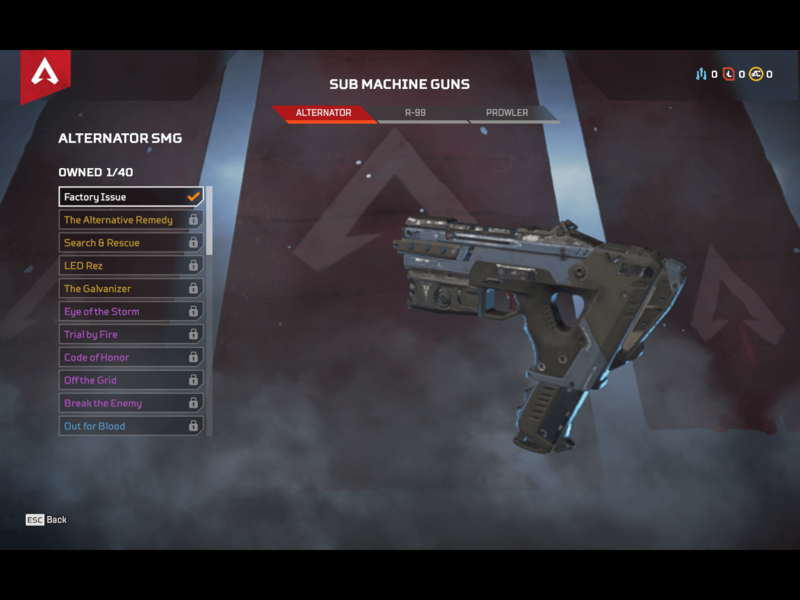 Kraber is one of the two legendary weapons in the game. 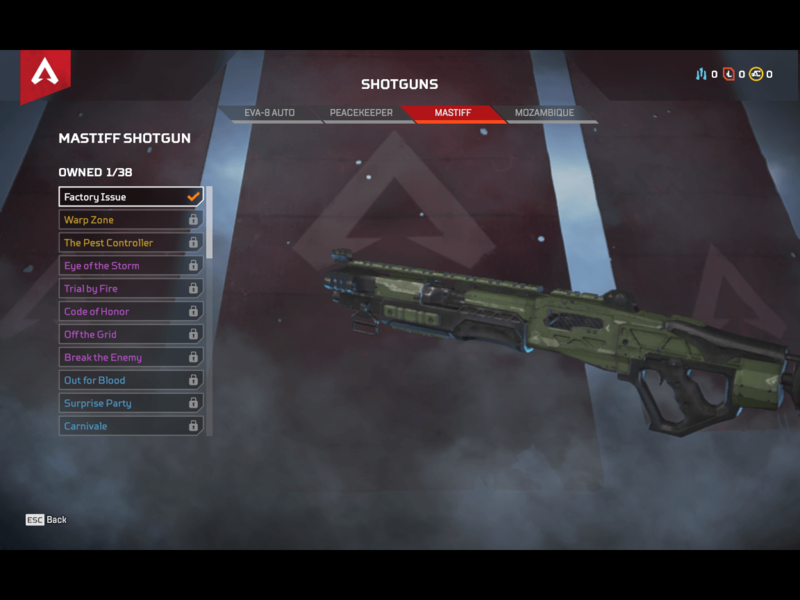 If you are looking for one shot kill, then it is a perfect weapon to include in the loadout. 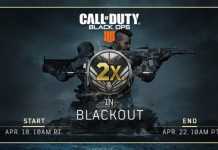 It is the second most powerful weapon in the game and comes with only 8 rounds, 4 per magazine. 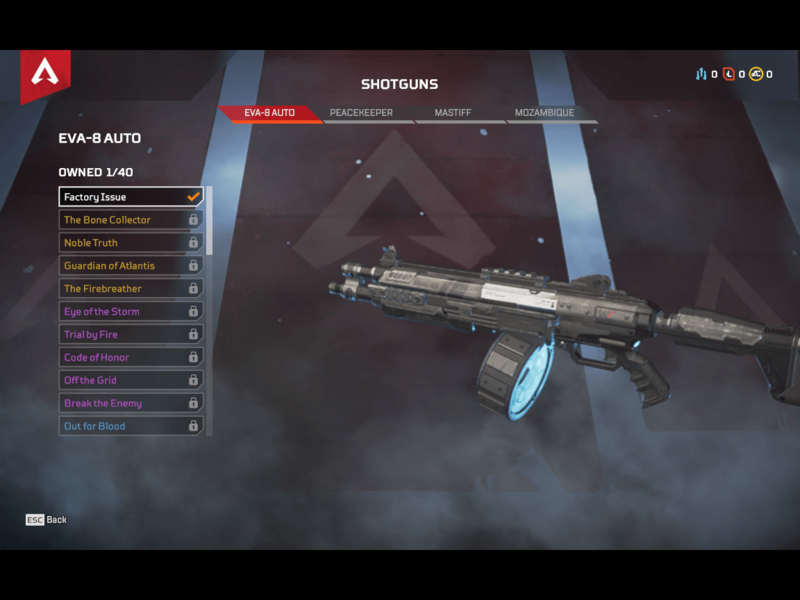 As it is a legendary weapon, you won’t find its ammo easily, but 8 worth shots are enough to change the momentum of the game. Powerful bolt-action sniper rifle. Optic: 6x – 10x Variable. Who is Ambrose Spellman on Chilling Adventures of Sabrina?